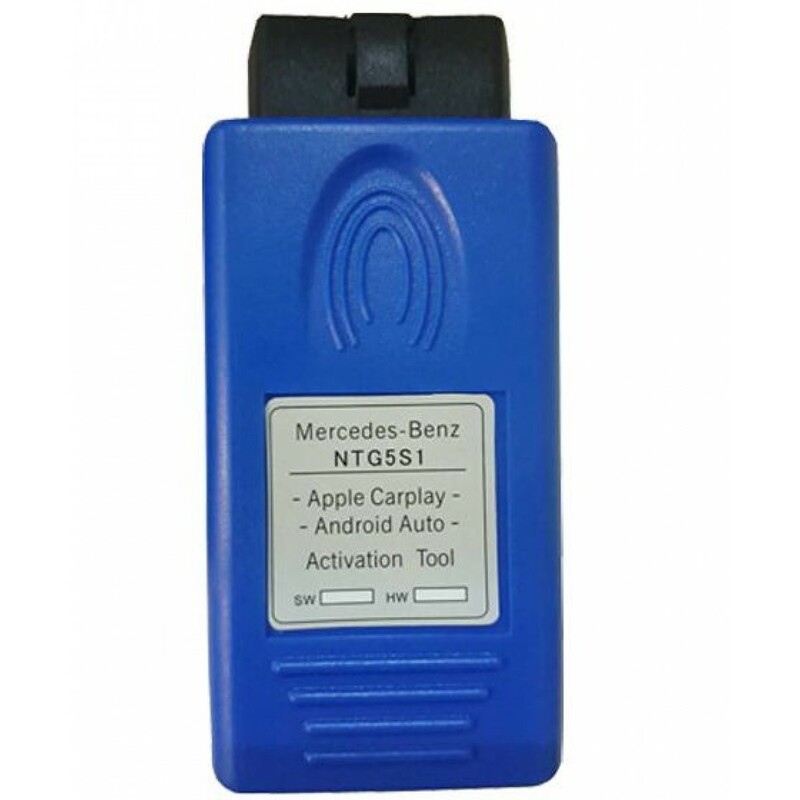 Mercedes Benz NTG5 S1 is activation tool can be used to automatically unlock CarPlay and Android Auto without needing any extra coding or programming. 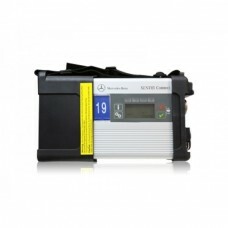 Check the Datacard or the production date of your Mercedes-Benz on your VIN sticker. 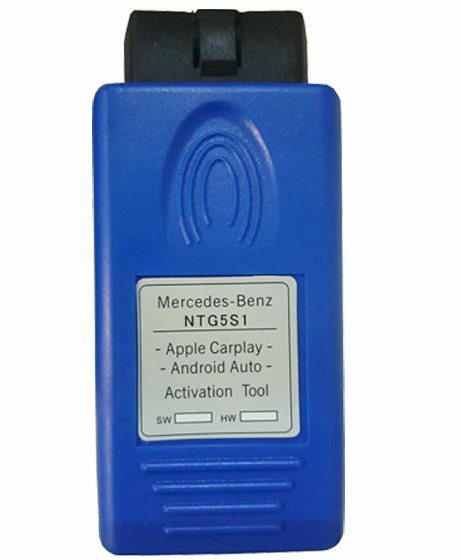 If your Mercedes is not compatible or the activation module doesn’t support your chassis don’t perform these steps or you will damage the COMAND on your Mercedes-Benz. 1. Open the door of your Mercedes. Do not step on brakes. Do not press start. 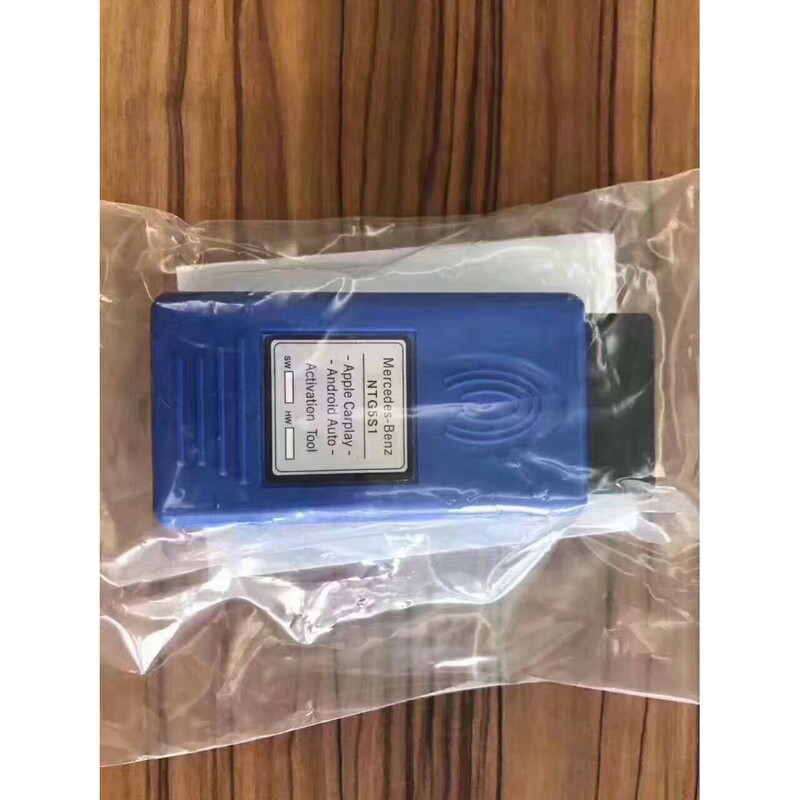 Do not start the engine. 2. 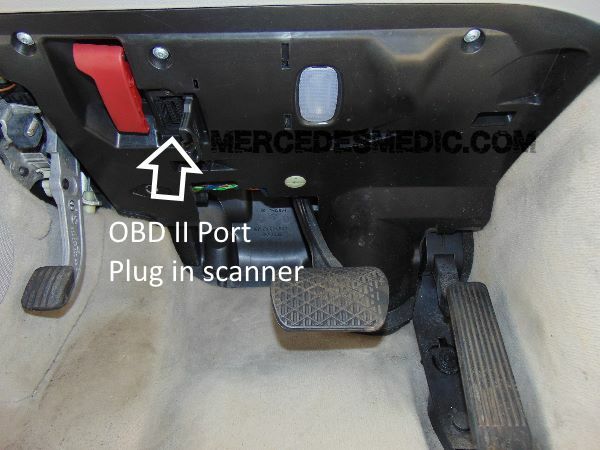 Locate the OBD2 port under the dashboard of your Mercedes-Benz. 3. 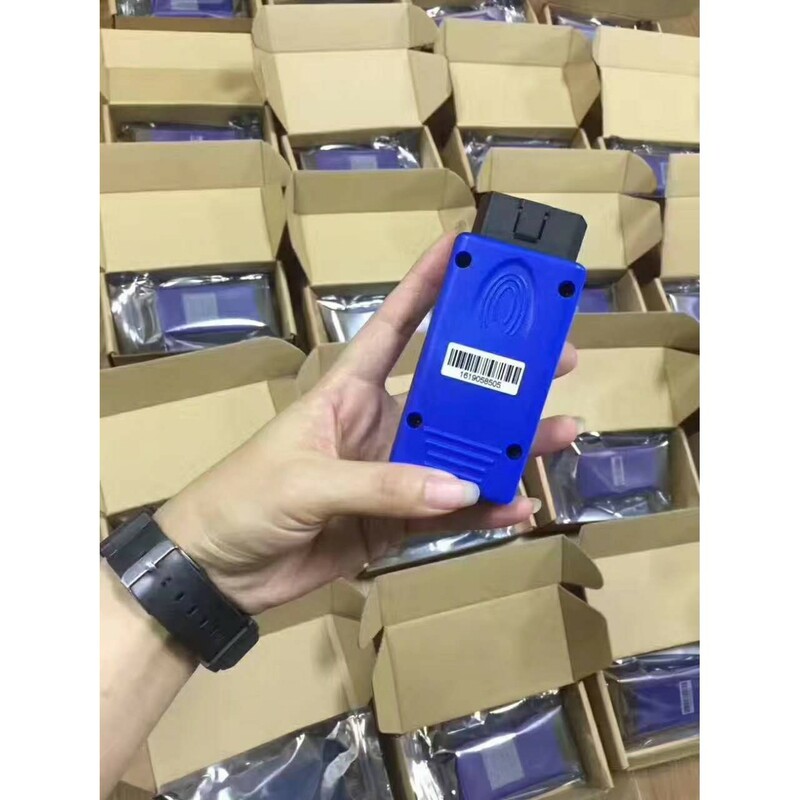 Plug the activation module into the OBD2 port. On your COMAND screen, you should a message saying DIAG. Wait for the restart. 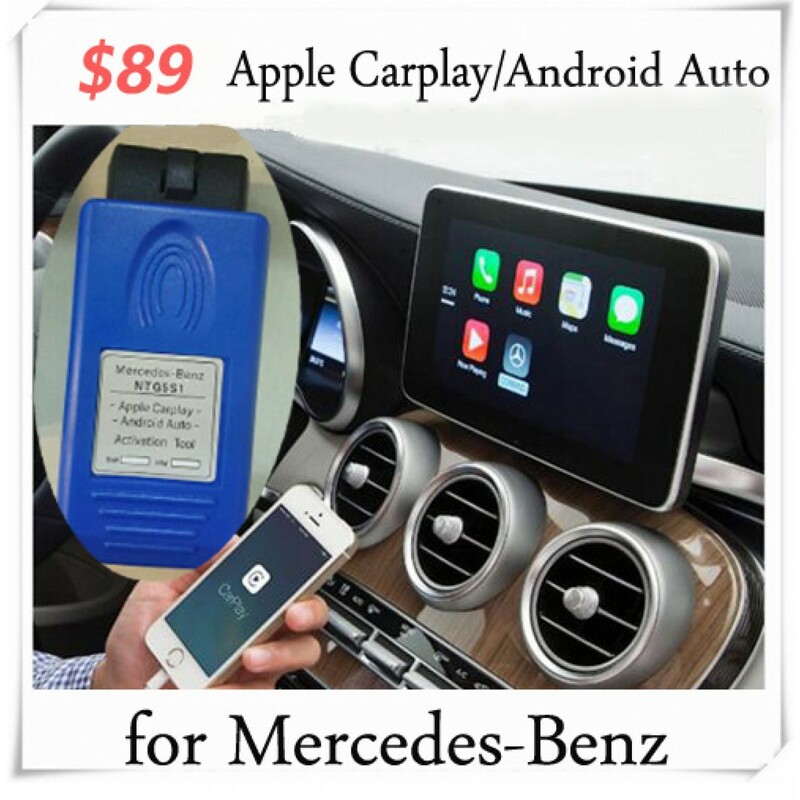 Allow the module to automatically activate the CarPlay and Android Auto on your Mercedes-Benz. 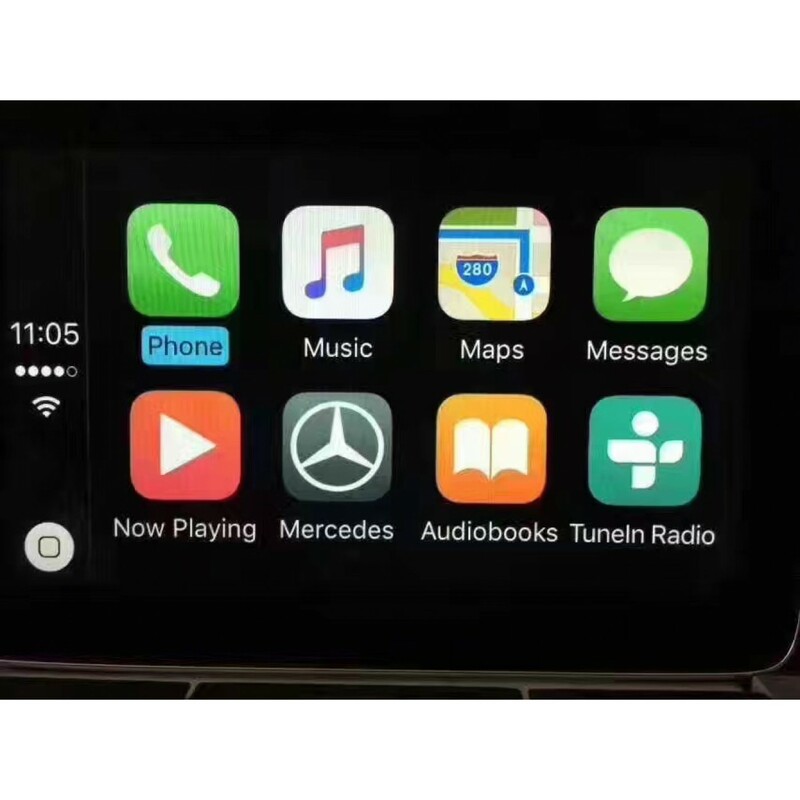 After about 30 seconds the CarPlay and Android Auto should unlock. Head unit will restart. 4. The command should restart after a few seconds. 5. 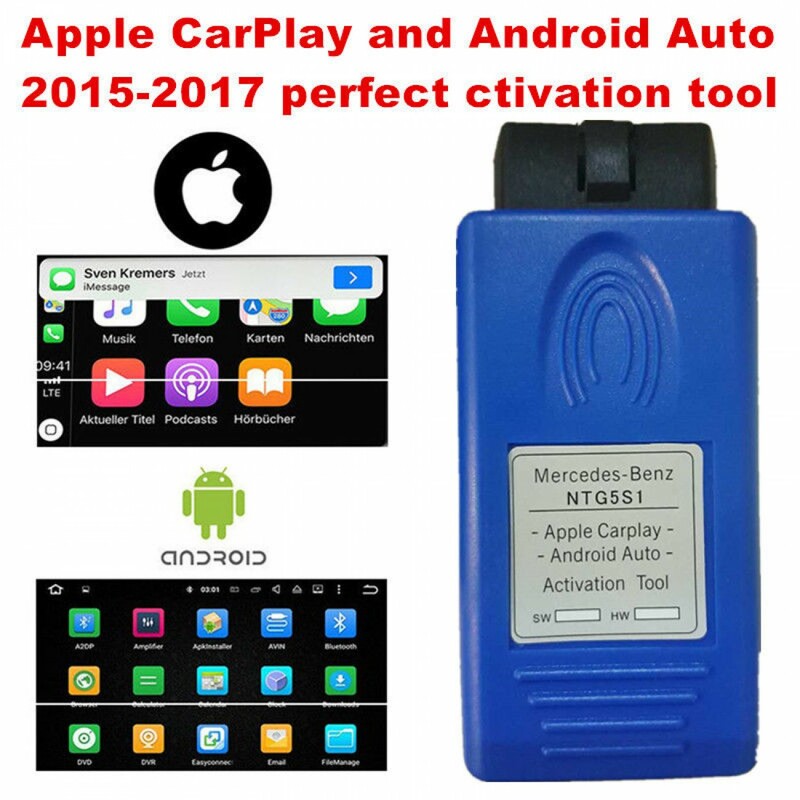 Verify that CarPlay or Android Auto are working by plugging in your phone. 1. Must ensure that the siri option of your iphone is keep opening status. 2. Must use original charging cable of your iphone . New Generation Mercedes-Benz Xentry Connect Xentry Diagnosis Tool Xentry Connect ..